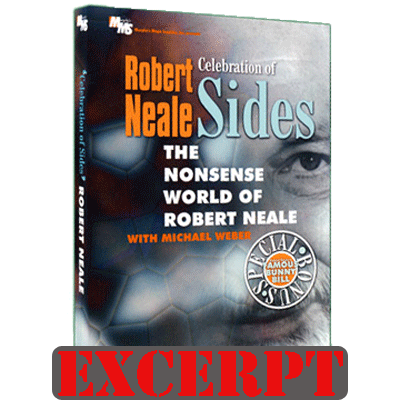 This topological oddity is from Robert Neale's Celebration of Sides DVD. The magician shows that two puzzle pieces fit together to form a rectangle "brick wall". Simple enough. But when the pieces are turned around and fit together again, there's an opening in the middle... a portal or secret opening to the other side. Very practical, easy, and lots of presentational possibilities.